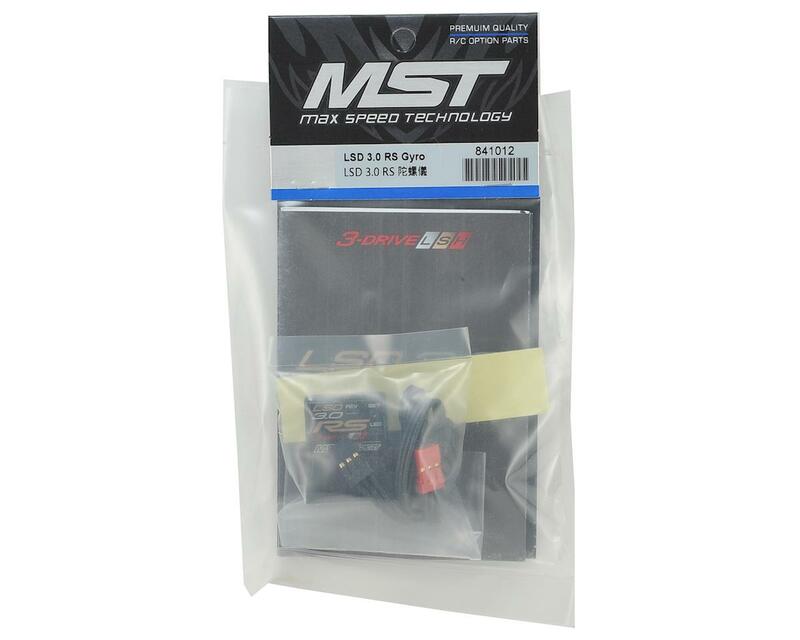 The MST LSD 3.0 RS gyro was developed specifically for RC cars. The LSD 3.0 RS gyro makes cars drift smoothly and naturally and offers a great balance between car control and gyro support for dynamic stability in all curve angles. 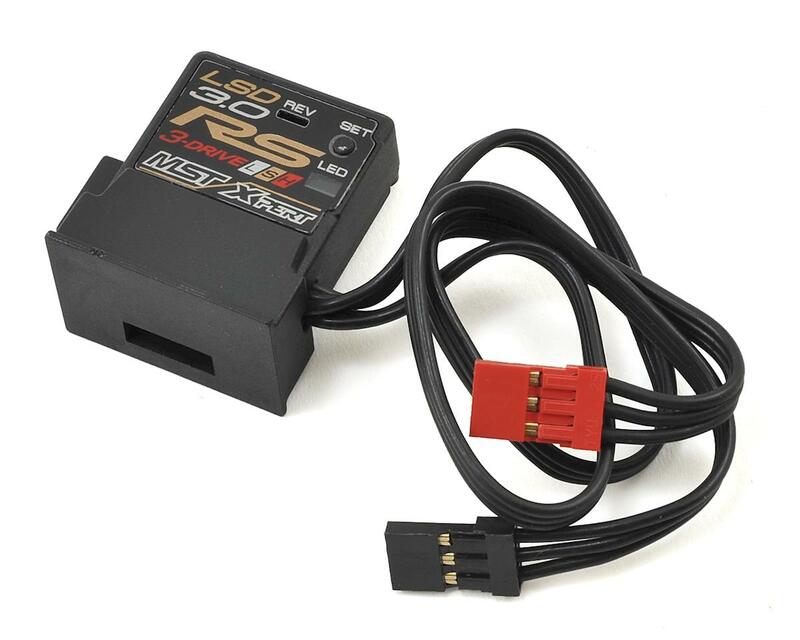 The LSD 3.0 RS offers three unique drive modes, S-Drive (standard), L-Drive which is more flexible than standard and good for short, curved tracks, and finally H-Drive which offers active and advanced vehicle assist and is recommended for slipping, large tracks and high speeds. Plus, the RS model allows wireless sensitivity adjustment directly from the transmitter. You can adjust the level of gyro accurately and quickly, making it easier to get your car setup. NEUTRAL AUTOMATIC LOCK FUNCTION: The LSD 3.0 RS gyro is able to auto-lock the neutral point to ensure servo correct position at any time. You do not have to adjust the neutral by hand like with other gyros. WIRELESS CH3/CH4 SENSITIVITY ADJUSTMENT: The LDS 3.0 RS gyro supports direct sensitivity adjustment directly from the transmitter. You can adjust the level of gyro accurately and quickly, making it easier to get your car setup. FORWARD AND REVERSE ROTATION CHANGE: You can change the rotation using a switch instead of changing gyro position and direction, for more setup freedom. SERVO PROTECTION SETTING: Unique design for maximum and minimum servo travel setting, this feature helps to prevent over-heating when servo exceed its limitation and extends the life of the servo. UNIQUE REMOVABLE GYRO BASE: The unique base latch design allows easy removal. The fitting base allows a variety of installation options. JAPANESE SENSE-ELEMENT: The LSD 2.0 gyro features the Japanese muRata sense-element which can be found in full scale cars.